Solaris condominium is in the Brickell area of Downtown Miami. It was conceived of architects Cohen, Freedman, and Encinosa and was finished in 2006. Its’ unit configurations include one to three bedroom floorplans and penthouses from 770-1,685 square feet. Solaris stands 22 stories high and has a total of 138 residences. For a mid-rise condominium in downtown the views from Solaris are remarkable and include the Biscayne Bay and Downtown Miami. Luxury that comes standard in residences in Solaris are Stainless GE appliances, Italian cabinetry, granite countertops, gourmet kitchen with convection style oven, natural stome tile in baths, whirlpool tubs, and full size laundry. Recreational activities abound at Solaris and you have your choice of state of the art fitness center with spa and lava rock sauna, lounging on the lushly landscaped pool deck, playing pool or watching movies in the media area, or simply relax in the clubhouse. This full service oasis offers luxury living in the middle of bustling Miami. 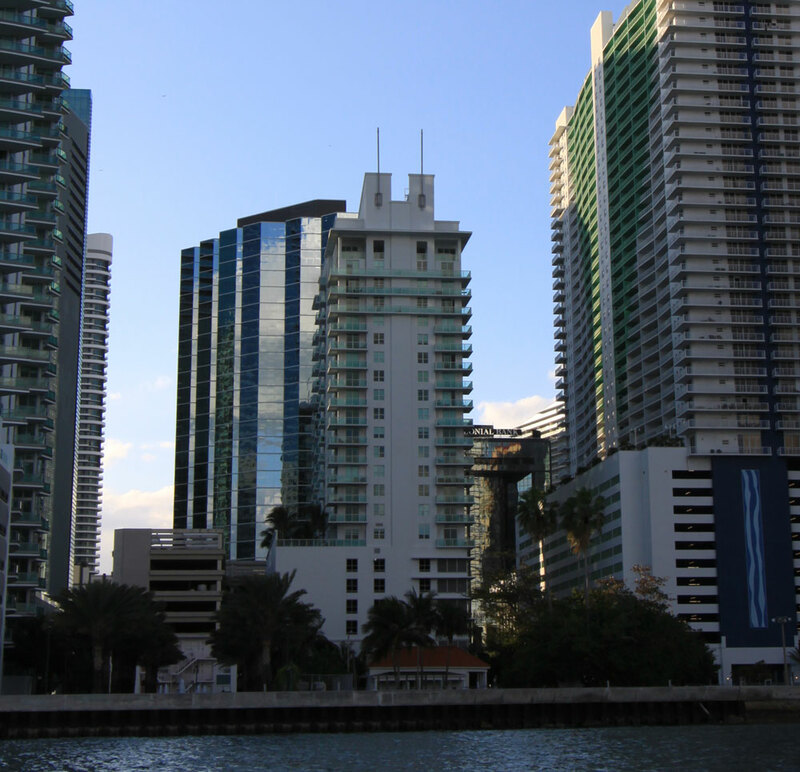 Solaris enjoys a prime location in the Brickell area of Downtown Miami. Brickell is the cities financial district and the neighborhood has been called the Manhattan of Miami. It is conceivable to not have a car living in Brickell as the metro mover provides transport to downtown and Brickell has dining shopping, and nightlife all in the district. Mary Brickell Village is a destination in Miami and is a casual area with many bars and restaurants. If you were feeling more adventurous, South Beach is a 15 minute drive and is the Miami International Airport. Brickell is popular with young professionals as well as families and Solaris offers something for everyone.